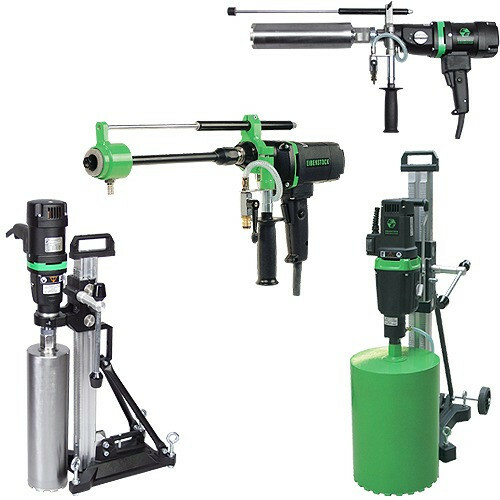 Two Speed Wet/Dry Hand Held Core Drill Motor and Drill Rig Stand. 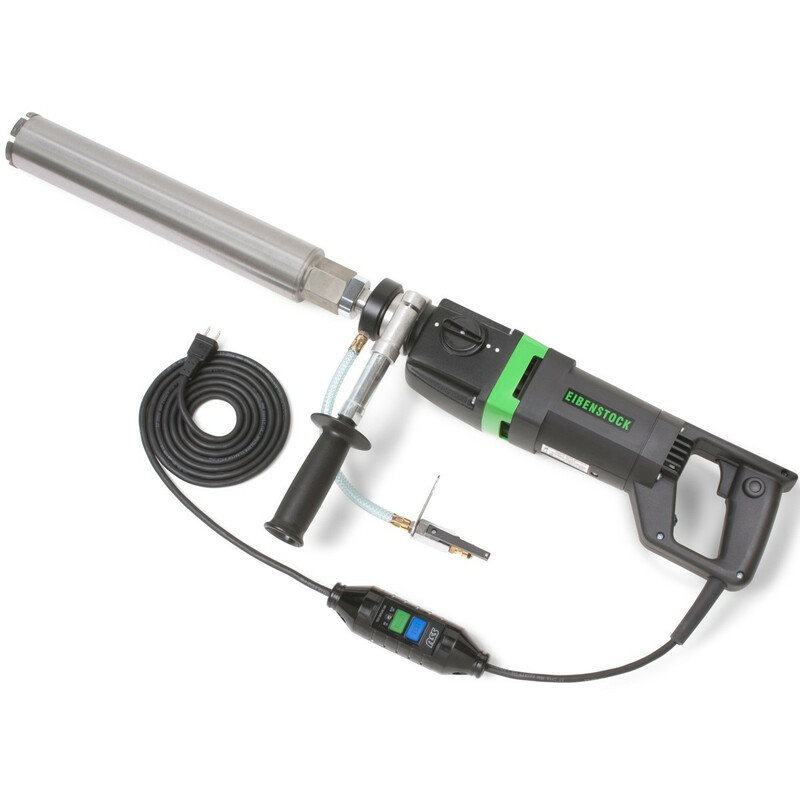 Powerful 15 Amp 110/120 VAC, 1700 Watts, 0-800 rpm load speed in low, 0-1570 rpm load speed in high. 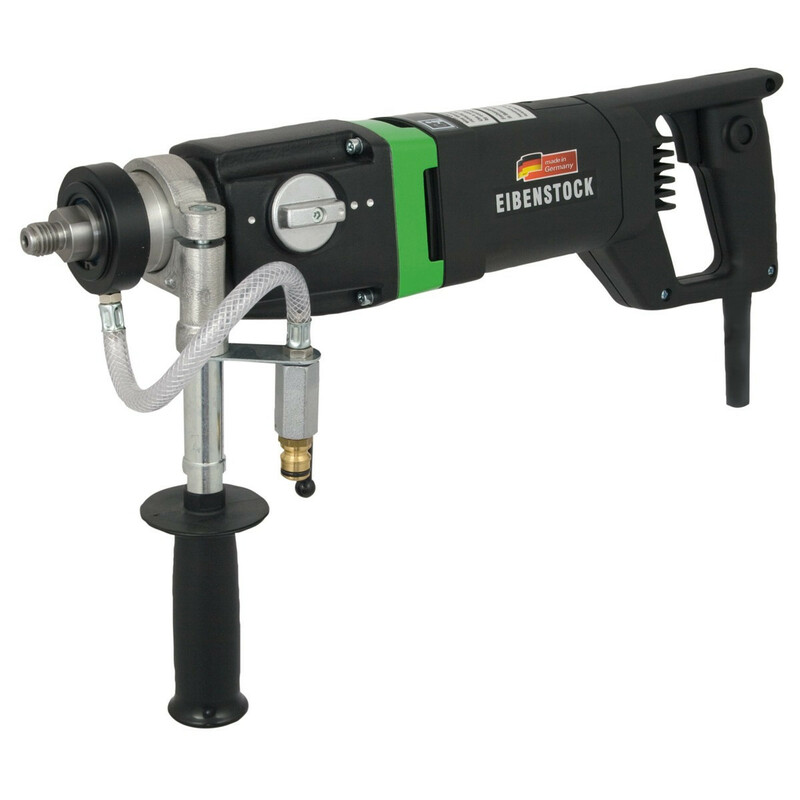 Capable of drilling up to 3" diameter holes by hand and 4" with included drill stand. 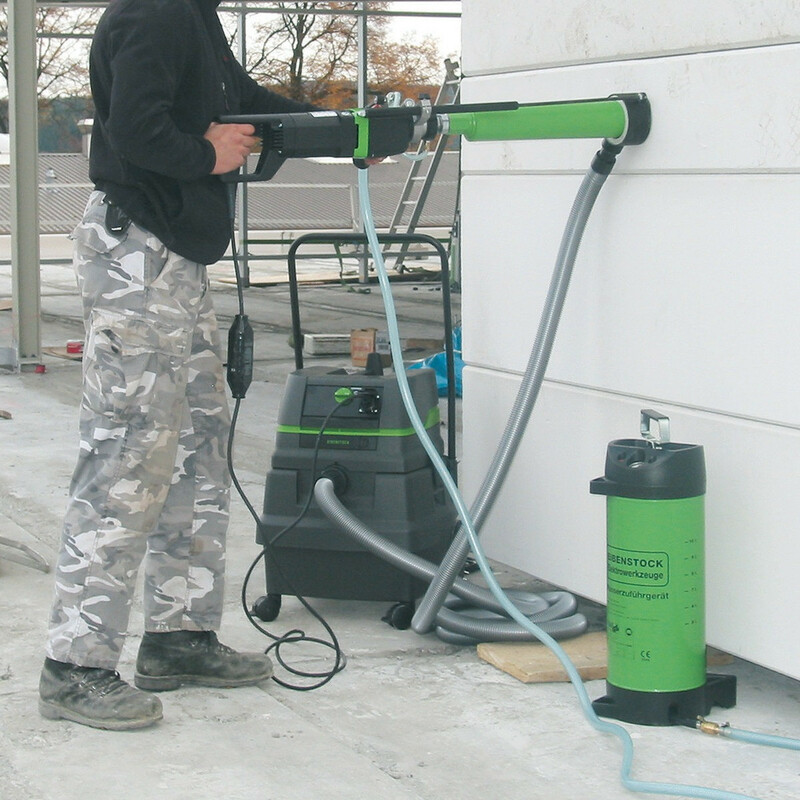 The ETN 2001 P concrete core drill is ideal for drilling concrete, reinforced concrete, brick, block and stone. 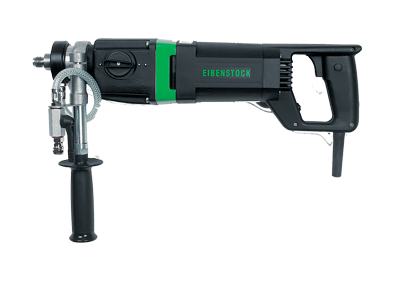 This heavy-duty wet and dry diamond core drill has high torque output. Use hand-held or rig mounted. 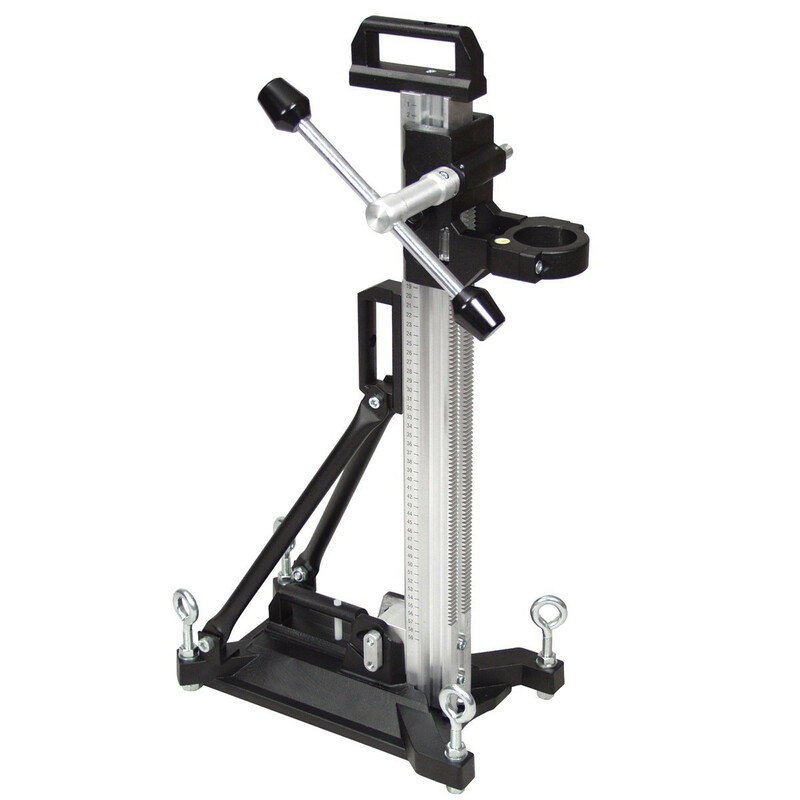 Two-speed gearbox provides the optimum RPM for hole sizes up to 4-inch diameter. Electronic torque limitation and speed control guarantee constant RPM even under load. Standard features include a safety slip clutch, thermal overload switch, water swivel collar, Ground Fault Interrupter and metal carrying case. 5/8" x 11 UNC and 1-1/4 x 7 UNC connecting threads are standard.